It's been a while since we last posted a Telemann Fantasia, so here we are. Telemann's Fantasia No. 4 for Solo Flute is in the key of B-flat major. 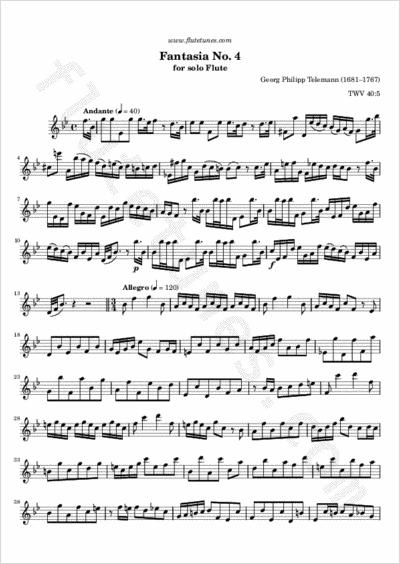 It is structured like a “modern” sonata in three movements, slow-fast-fast. More precisely, it starts with an Andante which has many jumps between the first and second register, then switches to a triple-time Allegro, and finally ends on a Presto in da capo form.